For example, if there are 10 items in July and three new items added in August, zero in September, on in October, two in November, 4 in December, then the current trend chart will look like below. 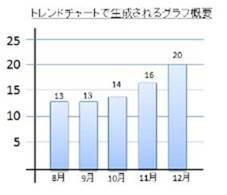 The customer (DENSO) would like to have a new feature in a trend chart which simply shows the number of new items in each month. 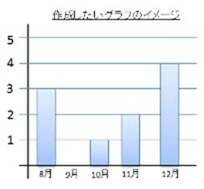 So, they would like to have the following one as a new variation of trend chart.